Registrars and/or Resellers (RaRs) that are not ICANN-accredited but wish to provision dotAfrica (.africa) domain names can now do so by simply becoming a reseller on the AF Proxy Domain Name Registration Platform. 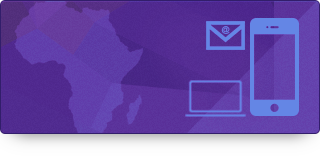 Af Proxy Services Relaunch - A Boost For (Dotafrica) .Africa Resellers AF Proxy Services Ltd platform to provision .africa domain names and to participate in growing the African digital economy PORT LOUIS, Mauritius, July 5, 2018/APO Group/ -- Registrars and/or Resellers (RaRs) that are not ICANN-accredited but wish to provision dotAfrica (.africa) domain names can now do so by simply becoming a reseller on the AF Proxy Domain Name Registration Platform. African RaRs do not have to undergo the expensive and time-consuming ICANN accreditation process in order to sell dotAfrica domain names. AF Proxy (www.Proxy.Net.za) registration services allows non ICANN-accredited RaR/Resellers to seamlessly integrate with its relaunched AF Proxy Services Ltd platform to provision .africa domain names and to participate in growing the African digital economy. “AF Proxy Services Ltd is itself accredited by ICANN, making its relaunched proxy platform a true plug-and-play solution for African RaRs wanting a low-cost retail route without the need for complicated development work,” said Lucky Masilela, AF Proxy Services Ltd CEO. This exciting and enabling domain name registration outlet was relaunched at the Africa DNS Forum organised by AfTLD in Cotonou, Benin, this week. This is an annual forum attended by leading African domain name industry stakeholders. “Our dynamic and intuitive registrar website and reseller-based administrative portal was developed/designed to improve the reseller experience,” says Mr. Masilela . Delegates attending the DNS Forum in Cotonou also noted that the dotAfrica extension, which is Africa’s new home on the World Wide Web, recently passed the 16 000 domain name registration milestone. “No doubt, AF Proxy has opened up a whole new reseller market, which is expected to deliver more excellent results over the coming years following this most recent upgrade,” says Mr. Masilela . The benefits of the .africa domain name for brand owners and other .africa domain name holders include showcasing the brand and its commitment to the continent. In addition, .africa can help brands to establish a home for Africa-specific products and services while expanding the brand's regional influence. The acquisition of valuable online real-estate in a fast-growing and high-potential market can also be achieved with a .africa domain name. Mr Masilela added that the AF Proxy platform will also enable RaRs/Resellers to provision the ZAdotCity domain names of dotjoburg, dotcapetown and dotdurban. Briefly, the www.AFProxy.africa domain registration platform allows a non-ICANN Accredited Registrar to integrate with its domain management system to provision domain names in the dotAfrica gTLD and the ZAdotCity domains using the default Proxy Registrar. “All users of the AF Proxy service become resellers of AF Proxy Registrar which is a smart solution aimed at boosting new dotAfrica gTLD domain name registrations,” concludes Mr Masilela. Distributed by APO Group on behalf of ZA Central Registry. Rendered in 0.8381 sec. using 5.66MB.